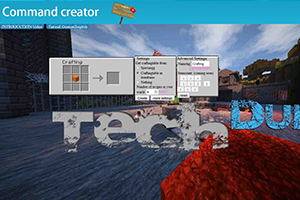 With the CommandCreator you can create your own minigame with ease! You don't need any knowledge to create the commands. The Crafting Generator creates your own crafting recipe! Move your items via. drag & drop into the crafting field and change their meta data (like enchantment, etc.) for the output item! Create your own Advancements with the Advancements Generator! Simply add triggers and rewards to create your own advancement for your map! To color a nametag from an armorstand or create a colored wither boss bar you can use the Prefix Generator and create fancy names! On June 30 2015 the CommandCreator went online. At first the idea was simple: Only the Command Creator, to create a minigame without any knowledge! You could select an event which players are able to trigger and then a command that's executed by the player. Now, it’s much more advanced: You can enter more than one command that will be executed by the player. Also, the design is much more interesting than before. There are three different versions of the Command Creator. Now, on January 21 2017 the website has its own, clear, modern and uniform design. 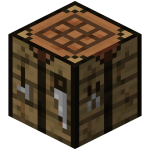 After the Command Creator I released another generator which didn't exist on any other websites: The Crafting Generator, you can create your own crafting recipes with ease. Only drag & drop the items into the crafting field and change some optional metadata of the output item and you are finished. This was the first version. Very ugly. The website had no uniform design, like now. Also, simple features like enchantments or a Nametag etc. were missing. The generator was very basic, now it’s a high tech product, like products by the NASA! 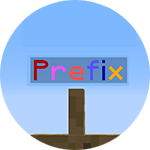 And last but not least I added one of the greatest generators ever: The prefix generator. With this generator you are able to color your commands without any knowledge. You only need a little bit of creativity. I knew the already existing color command generators but there you have to enter you command by hand and place a §6 before the text. 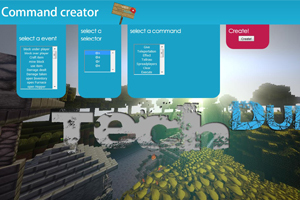 With the Prefix/Color Generator of CommandCreator.com you only need to click on e.g. Wither, enter your text (you can also use special characters) and then color them by checking the text and click on an color. It's so simple! In the future time, new generators will be published. I'm already working on a big project/generator that doesn't exist yet. It will be a big help for many people of you! So stay tuned to see the new updates and generators!